Home » Articles » 25. What you say, is what you want! 25. What you say, is what you want! MIRror: what you say is what you yourself want! The funny thing is that what you always advise others to do is exactly what you would like to be doing. “Don’t bite off more than you can chew”, “Ask someone to help you”, “Don’t think about it so much, just do it”. I often told the clients in my practice, “Do what your heart is telling you!” and it wasn’t until later that I realized that I was also talking to myself! And when you do what your heart is telling you to do, everything becomes easier! I closed my practice after the MIR-Method was developed. It was a huge decision, but because I followed my heart at that moment, it was a very small step to take! When you are in contact with your deepest desire, you can make the right decisions and you don’t even have to find the courage to do so! You only have to do it and then stand firm. People around you will get upset and say all kinds of things to you. All you have to do is to stand firm and repeat to yourself what you want. 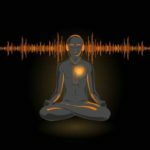 The MIR-Method helps you to continually listen better to your heart because it peels away layer after layer of the burden taxing your heart. Note: you have to always do all 9 steps! With step 3: “Detach father. Detach mother” you detach yourself from the example your parents gave you and from the opinions and advice of other men and women. With step 4: “Clear meridians” you work on your heart meridian. According to Chinese medicine, this meridian becomes blocked when you are hurt, when someone tramples on you in some way or when you have a broken heart. By allowing this heart meridian to flow again, you shake off these old hurts and your heart can open up again, not afraid of possibly being hurt again. With step 8: “Optimize Chakras and Aura”, you optimize the heart chakra. This chakra (energy wheel) can become disturbed in the same way as the heart meridian. It’s often old memories that cause you not to open up your heart and you don’t dare to listen to it anymore. 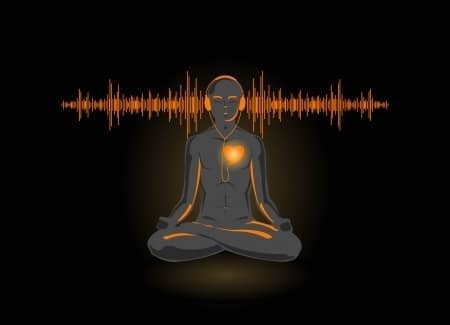 Not being able to listen to your heart is, in my opinion, one of the biggest causes of depression, burnout, addictions, fears, stomach problems and heart problems. Your heart is very important to your health and sense of well-being, and it is fantastic when you release it! Now I am curious: If you ask your heart: “What do you desire?”, what does it tell you? Let me know below! Wishing you good luck and a free heart! 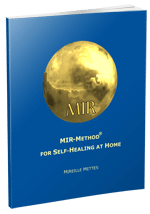 I am very grateful for your generosity Mireille; I’ve been doing the MIR method since mid January and have felt committed to keeping a daily practise of meditation, qigong along with MIR. There have been subtle changes but – oh the but! My food allergies and intolerances continue to plague me. What does my heart want? To sing. To love myself. To be free from fear of what I’m eating will hurt me. I was introduced to the MIR method by a friend and am doing it regularly. I feel it has helped me a lot. Your newsletters are very encouraging and there is a lot to learn from u. Thank you for sharing your vast knowledge with us. Thank you for this very interesting form of therapy. I am definitely going to try it for the next 4 weeks. I feel intuitively that this will be extremely successful and have already shared it with some fellow therapists in different countries. Your energy is really beautiful, so warm and caring. Sending you much love and light. Thank you so much for sharing the MIR-Method with other people! I hope you will notice some improvement in your own health. Please let me know. i regularly go thru ur mir newsletter.i share this info. with my clients of my healing centre: Antar-Deep, this means Inner Light or Light within.mir helps 2 discover their self love, & power of soul including body , mind , spirit. Thank u so much. And thank you for spreading the MIR-Method! I am very glad you can feel that the MIR-Method works! Please let as many people in India know about it! Greetings and thank you for your beautiful work at the Antar-Deep healing centre! thanks for the reminding of the power of words. You are very welcome! And yes indeed it is quite a challenge to keep your heart peaceful and harmonious. I am glad you have the ability to listen to your heart! Great how your heart speaks and how you are clearly able to listen to it! Have a great day in Australia! Merci, ça tombe bien, car mon coeur a mal ce jour!!!! Je pratique la Mir Methode depuis 4 semaines et je continue, je ressens de continuer encore!!!!!! Thank you for responding! My French isn’t very good in writing, but I can read it. I trust you can read English! Hope your heart will feel better soon! Just keep on doing the MIR-Method for as long as it feels good for you!